Figwort (Scrophularia Nodosa) other names: Carpenter's Square, Common Figwort, Escrofularia, Grande Scrofulaire, Heal-all, Herbe aux Écrouelles, Herbe au Siège, Rosenoble, Scrofulaire, Scrofulaire des Bois, Scrofulaire Noueuse, Scrophula Plant, Scrophularia, Scrophularia marilandica, Scrophularia nodosa, Scrophularia Radix, Throatwort, Xuan Shen. Figwort (botanical name Scrophularia nodosa) is used in the form of a cleansing herb by both cultures in the East as well as the West. There was a time when figwort was called the scrofula plant (this has given the plant its botanical name) and was employed to heal pus filled wounds, abscesses, and also scrofula (also referred to as the ‘King’s Evil). Although figwort is a very old therapeutic herb, it is only now that the scientists are identifying a number of its constituents by means of biochemical analysis. Figwort was familiar to the early pharmacists who called it ficaria major and prescribed this herb for treating haemorrhoids. In addition, herbalists also referred to figwort as scrophularia, as it was used for treating scrofulous conditions, for instance tuberculosis of the lymphatic glands as well as other ailments that were marked by eruptions and swellings. Similar to its close family member foxglove, figwort also encloses a substance that is cardio active and works to fortify the heart, while slowing down the heart rhythm. Hence, if figwort is used internally by any person except a qualified medical practitioner, it may enhance the possibilities of precarious complications. In addition, figwort also possesses potent and potentially harmful laxative as well as emetic properties. Figwort (S. nodosa) is indigenous to Europe, North America, and Central Asia. This herb grows excellently in places that are wet and soggy; along the banks of rivers, beside ditches and in open forest lands. The figwort is collected during the summer months when the plants are in bloom. Figwort plants can flourish in total sunlight as well as semi-shade. Plants belonging to this species are also able to endure very low temperatures, as a minimum of -15°C. Figwort is generally propagated by means of its seeds that are ideally sown in a cold frame either during spring or in autumn. Figwort is an herb. The whole plant is used to make medicine. People take figwort as a “water pill” to relieve bloating by increasing urine production. Figwort promotes the detoxification of our body by helping to get rid of the toxic substances from the body. Hence, figwort may be employed effectively for treating a variety of skin disorders. Figwort is helpful in healing chronic skin conditions like psoriasis and eczema when it is taken internally in the form of an infusion or applied topically to the affected areas. When applied topically, figwort is also useful for hastening the healing wounds, burn injuries, ulcers and haemorrhoids. Traditionally, figwort has been used for treating swellings as well as tumours and, in Europe herbalists still continue to use the herb for these purposes. Figwort also possesses mild diuretic properties, and is known to be useful for expelling worms from the body. Figwort is sometimes applied directly to the skin for skin conditions such as eczema, itching, psoriasis, hemorrhoids, swelling, and rash. The entire figwort plant possesses anodyne, anti-inflammatory, alternative, diuretic, slightly purgative as well as tonic properties. The leaves and roots of figwort are harvested during the summer when the plant is in bloom. These parts are dried up for use afterward. A decoction prepared from the figwort is applied topically to swellings, sprains, inflammations, burn injuries and other similar conditions. The decoction is also known to be effective for curing persistent skin disorders, gangrene and scrofulous sores. You may apply figwort leaves fresh or the leaves can also be used to prepared a salve. Figwort is also used internally to treat conditions like chronic skin disorders (including psoriasis, eczema and pruritis); weak blood and lymphatic circulation; distended lymph nodes as well as mastitis. Figwort is a very effective herb for treating hepatic diseases (disorders related to the liver), dropsy and also in the form of a common de-obstruent (medications that help to remove obstructions) to the glands when it is used in the form of syrup or an infusion. Figwort is also useful for healing bruises, ringworm, tender swellings, piles, mammae inflammation, eruptions on the skin and itching when figwort is used superficially in the form of an ointment. The root of figwort is used to prepare a decoction and is consumed liberally to replenish the lochial discharge (vaginal discharge following childbirth) when it is held back as well as to ease pain that accompanies difficult menstruation. 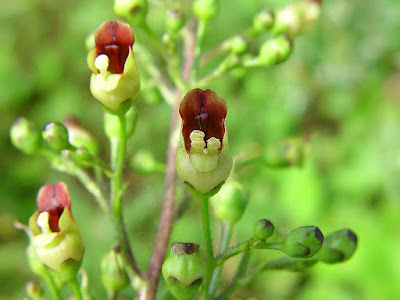 Therefore, it is needless to reiterate that figwort possesses several useful as well as active therapeutic attributes. Some people use figwort as a substitute for devil's claw, because the two herbs contain similar chemicals. There isn't enough information to know if figwort is safe. Pregnancy and breast-feeding: Not enough is known about the use of figwort during pregnancy and breast-feeding. Stay on the safe side and avoid use. 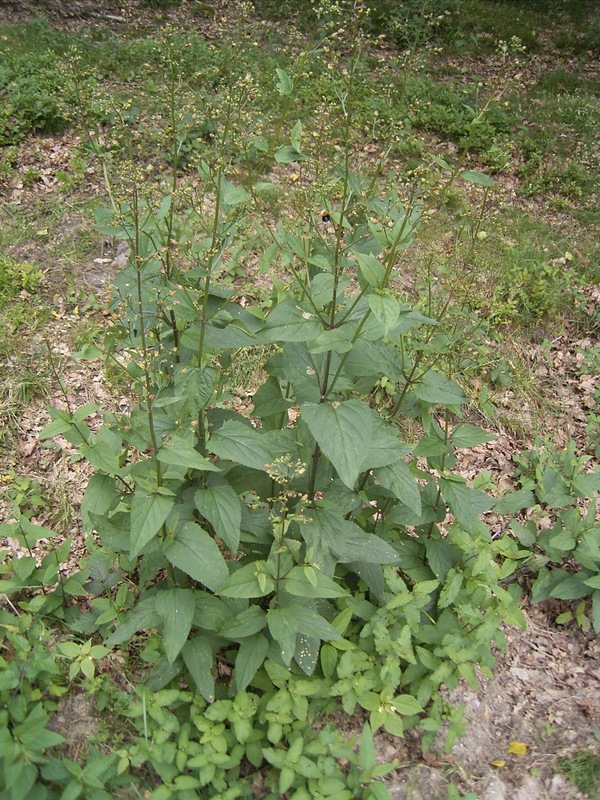 Diabetes: Figwort might affect blood sugar control. Monitor your blood sugar levels carefully if you have diabetes and use figwort. A heart condition called ventricular tachycardia: don’t use figwort if you have this condition.